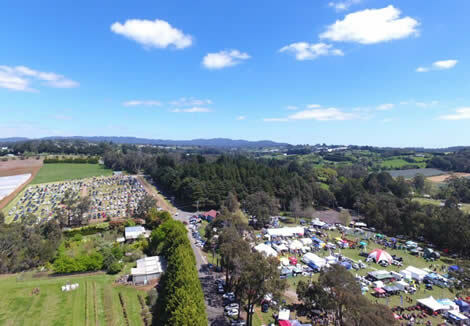 The 2019 Wandin Silvan Field Days will be held on Friday 11th & Saturday 12th October 2019. 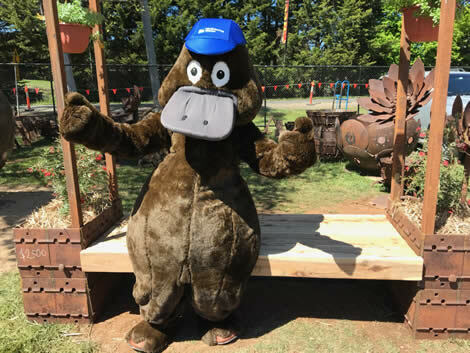 The Field Days continue to be the principal focus for the Horticultural and Agricultural producers of this particular region, and beyond. The 2019 Exhibitor Prospectus is still in preparation so for now you can view the 2018 version: here or download the pdf here. Similarly the 2018 General Interest Exhibitor Application can also be viewed until the 2019 version is available: here or download the pdf here. The 2018 list of Exhibitors can be found here. To locate the Wandin Silvan Field Days explore the map at the bottom of this page, use Melways ref. 121 K9 or check the Yarra Valley region information page. You can see a plan of the Field Days site here. 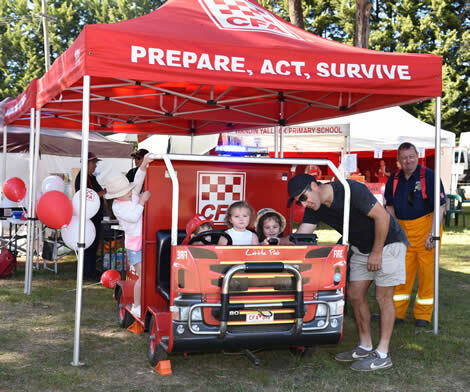 The entrance fee for 2018 (which benefits local CFA Brigades) is $15 per person, with no concession rate. Eftpos facilities are available at the entry gate and an on-site mobile ATM is now also available. Children under 15 are admitted free of charge. Ample free on-site parking is available - please follow the signs. Full on-site catering facilities provided by several local schools and community groups. We welcome exhibitors from as far as Tasmania, Queensland, New South Wales, Western Australia and South Australia, as well as from regional and country Victoria, along with a large number from local and metropolitan areas. 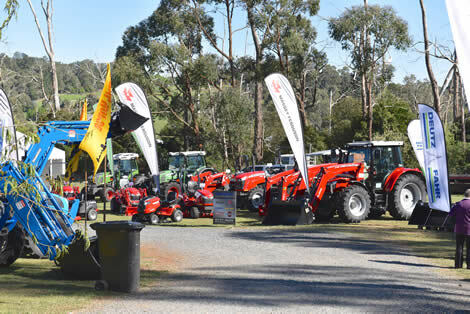 This year we will once again feature exhibitors ranging from farm machinery, light industrial equipment, motor vehicles and motor bikes, irrigation equipment and water tanks to information on the latest pest & weed control, fertilisers and chemicals. 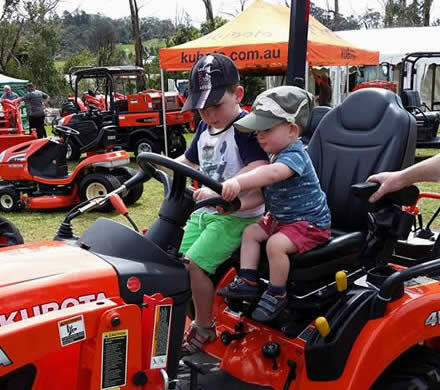 Demonstrations and displays of a wide variety of new equipment, such as chain saws, ride-on mowers, retractable water sprayers and pruning techniques will be available. Information on the packaging, transporting and labeling of fruit will also be available. Motor vehicles & 4WD's will be well represented, with many exhibitors featuring relevant product. Government Departments including Natural Resources, Southern Rural Water, Victorian Work Cover Authority and a special "Smoke House" simulation by the Country Fire Authority will be featured. Finance, real estate, insurance, local employment agencies, mobile telephone companies will be present, along with various grower organisations. 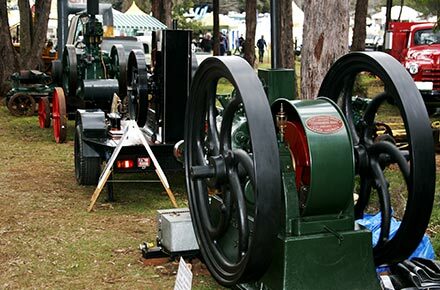 A very popular attraction at the Field Days is the display of machinery of yesteryear, and the Yarra Valley Machinery Preservation Society will once again feature a working display of their restored machinery for visitors to the venue. Many hours and much care are devoted to the restoration of the machinery and the members are very happy to share their stories and discuss the features of their displays. The popular "General Interest Exhibits" will once again provide a forum for a diverse range of local crafts and produce, with many exhibitors showcasing actual demonstrations of their products. Arts and crafts, patchwork, lavender products, community organisations, gardening products, ladies and children's clothing and confectionery will feature, along with such demonstrations as weaving and leatherworking. 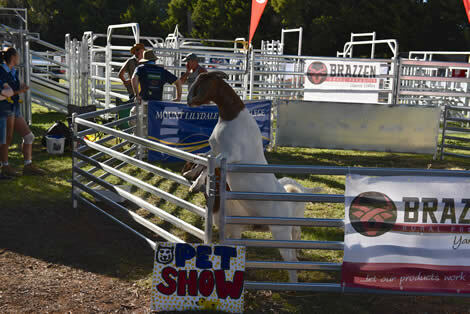 We look forward to the continued support of our many Exhibitors who have attended in the past, as well as welcoming and encouraging new businesses to participate, as we work together to ensure the continued success of the Wandin Silvan Field Days. 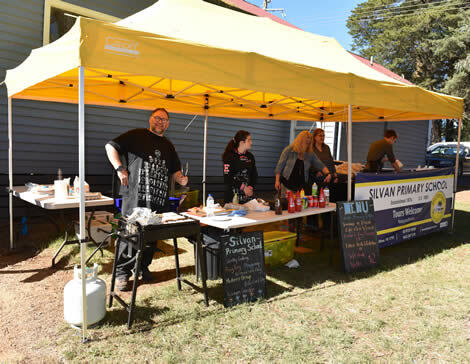 As we look forward to 2019's event we thank everyone who contributed to 2018's successful Wandin Silvan Field Days event. We congratulate all those who took part and appreciate the time and effort that went into their displays. You can see the 2018 winners in the various display categories in the President's Award Winners.